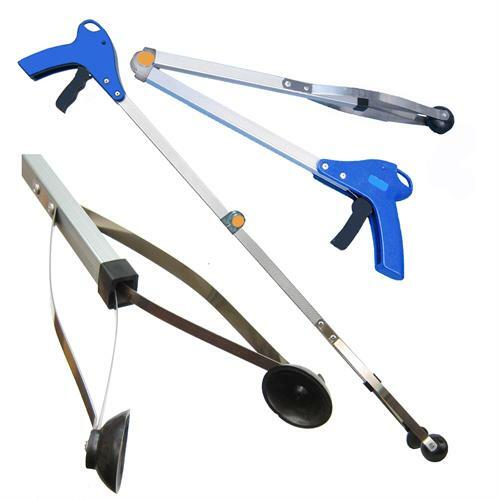 Economy rubber cup reacher AND IT FOLDS in half for easy storage. 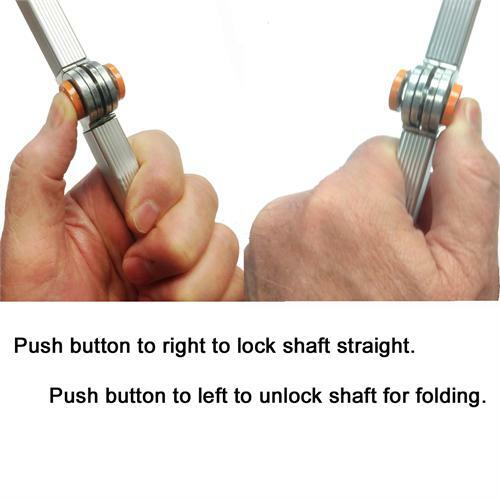 Notice the orange dot on the folding joint. The ReachMate is the only reacher available with a strong metal folding joint. Unlike other folding reachers, the ReachMate folding and locking reacher will last. In addition, this lightweight reacher has all the most popular features: pistol grip with four finger trigger and locking mechanism. Sold with black synthetic rubber cups sensitive enough to pick up a dime. 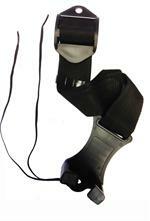 Replaceable with silicone or synthetic rubber (EPDM) accessory cups. Great help around the house. Plastic positional locking mechanism to easily maintain grip on object.